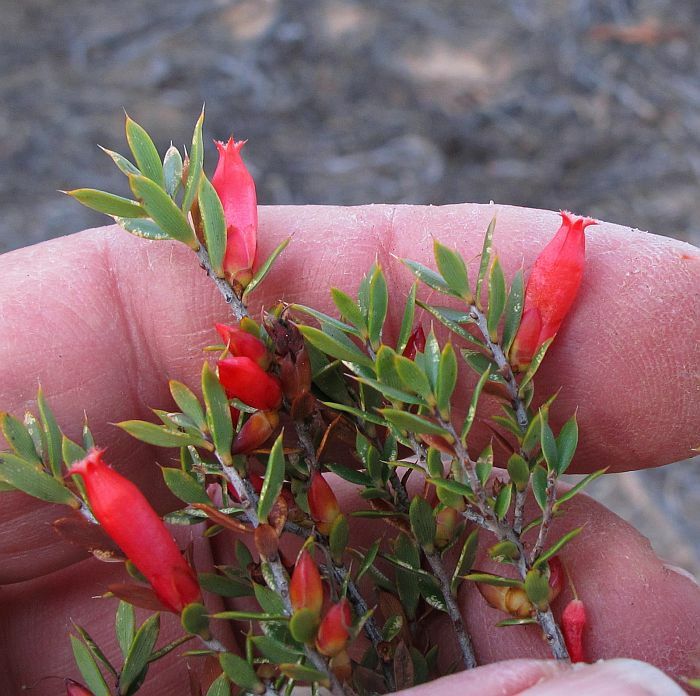 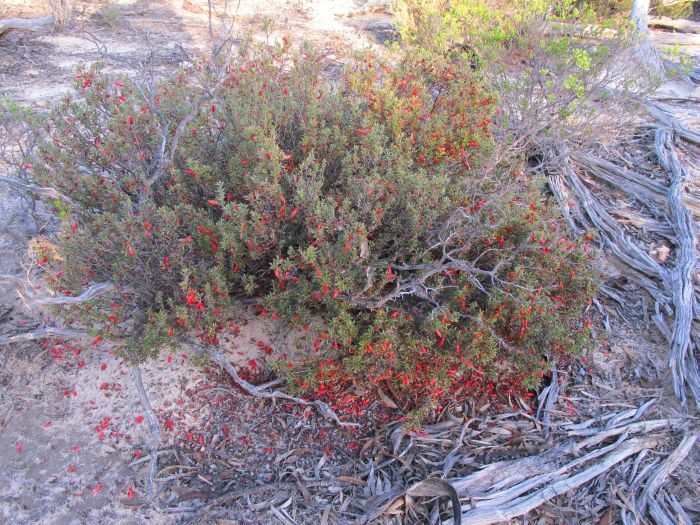 This is a WA endemic and common between Ravensthorpe and Albany, plus inland from Perth. 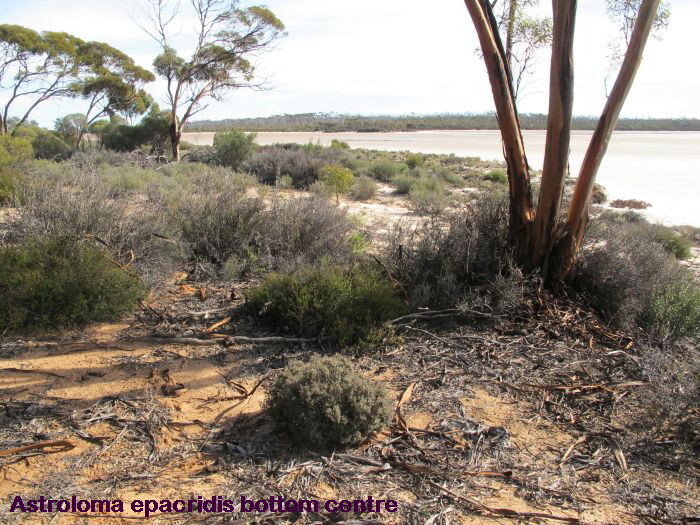 However around Esperance it is less so and I only know it from around inland (Mallee) saltlakes, where favouring fine yellow/brown sand/clay loams, similar to ‘Brickies Sand.’ Although elsewhere gravel type soils are also popular. 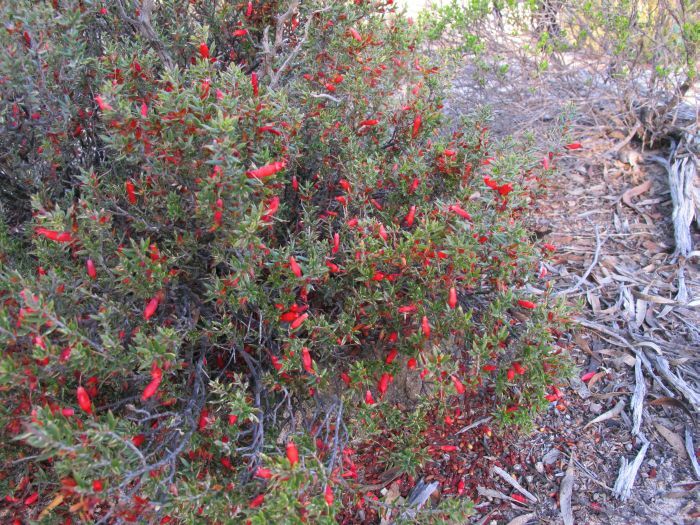 Astroloma epacridis is quite a variable species in both form and flower colour, but locally it develops into a compact shrub of around ½ metre (20”) in height x 1 metre (40”) wide, with bright scarlet flowers. 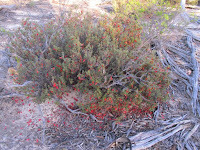 Apparently elsewhere it can be a sprawling shrub, and/or upright to twice the local height, and/or with pinkish flowers. 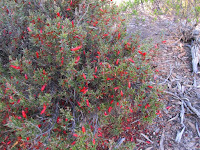 Visually the local shrubs with their dark green leaves and compact foliage have a dark appearance, especially in shaded areas, but this habit also accentuates the brightly coloured flowers, which in contrast glow like red opal on a dark background. Flowering time is lengthy and can be anytime of the year, but local weather conditions would determine exactly when. 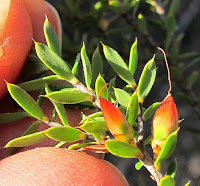 The sharply pointed leaves are less than 1 cm (3/8”) in length, whilst the flowers are to 1.5 cm (little over ½”) long. 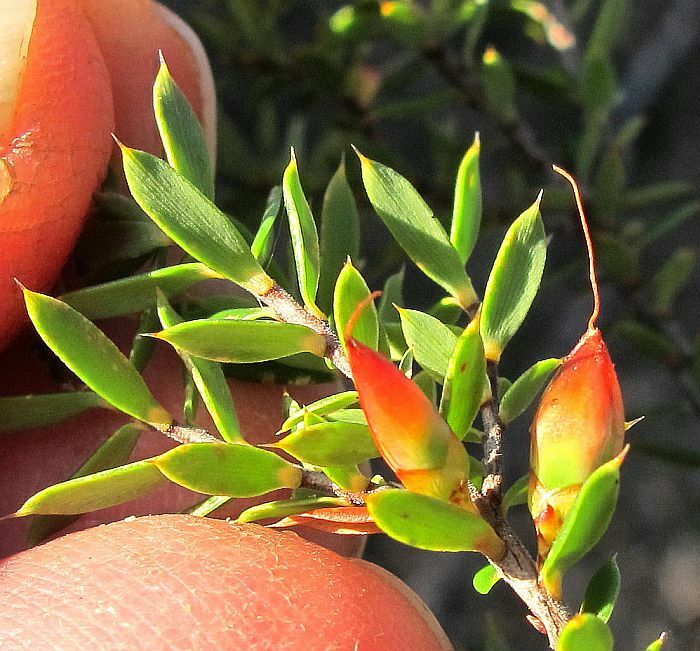 Important identification features with this species are the hairless petal tips and the spreading leaves. 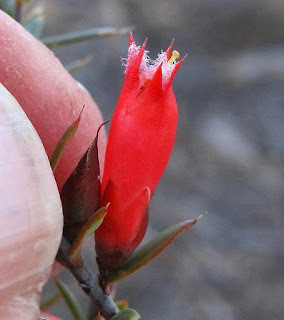 Astroloma is part of the Ericaceae (Heath) family, but may also be listed under Epacridaceae.